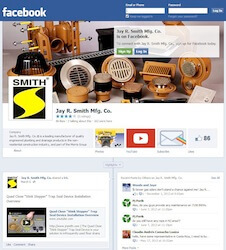 Connect & Learn - Social Media, Blog, Case Studies & Videos - Jay R. Smith MFG Co.
Share our posts with your friends. Post to our Facebook wall. 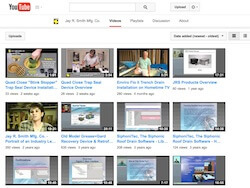 Comment on and discuss videos with other subscribers. Share videos on other social networks. Retweet our posts and share with your followers. 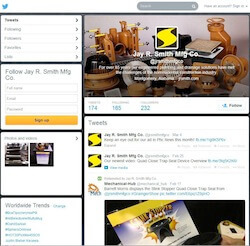 Mention @jrsmithmfgco to ask a question or make a comment to us. Comment on and discuss posts. 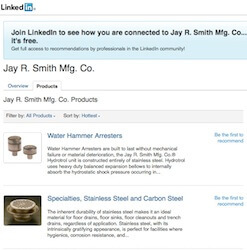 Share posts with your LinkedIn network. 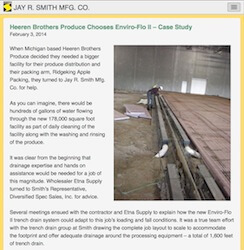 Our blog covers a variety of topics, including case studies of our projects, regulatory influences shaping the needs for our products, and how our products help people solve important problems all over the world.